Rio de Janeiro hosted many of the 2014 FIFA World Cup games, including the final. It also hosted the 2016 Summer Olympics and Paralympics, becoming the first South American city to host the Summer Olympics. The South Zone holds most of Rio's landmarks and world-famous beaches, in an area of only 43.87 km² (17 sq miles). Many of them are within walking distance of each other (for instance, the Sugarloaf lies about 8 km (5 miles) from Copacabana beach). Most hotels and hostels are located in this part of the city, which is compressed between the Tijuca Range (Maciço da Tijuca) and the sea. There are important places in other regions as well, such as Maracanã stadium in the North Zone and the many fascinating buildings in the Centre. Sadly, most people also know Rio for its violence and crime, especially related to drugs. And social problems, as slums or favelas, areas of poor-quality housing and living; these slums are usually located on the city's many mountain slopes, juxtaposed with middle-class neighbourhoods. International and most domestic flights land at 1 Galeão - Antônio Carlos Jobim International Airport (GIG IATA Galeão International Airport), Av. Vinte de Janeiro, s/n° - Galeão, Ilha do Governador (20 km north from the city centre and main hotels), ☎ +55 21 3398-5050, fax: +55 21 3393-2288. While you can sometimes zoom through Immigration and Customs, be prepared for a long wait. Brazilians travel with lots of baggage and long queues can form at Customs, which are usually hopelessly understaffed. 2 Santos Dumont Airport (SDU IATA), Praça Senador Salgado Filho, s/n - Centro (east of the city centre, by the Guanabara bay. ), ☎ +55 21 3814-7070, fax: +55 21 2533-2218. Gets flights only from São Paulo and some of Brazil's largest cities such as Belo Horizonte, Porto Alegre and Salvador, as well as the capital Brasilia. Airlines that service Santos Dumont include: GOL, LATAM, Azul and Avianca. Don't rush off without taking a look inside the original terminal building - a fine example of Brazilian modernist architecture. Two bus lines operated by Real depart from right outside the arrival section of Galeão. Buses are air-conditioned and comfy, with ample luggage space. They run roughly every 30 minutes from 5:30AM to 10PM. 2018 Aeroporto Internacional do RJ/Alvorada (Via Orla da Zona Sul) runs between both airports, the main bus terminal and further along the beachfront of Botafogo, Copacabana, Ipanema and Leblon, and has its terminus at the Alvorada terminal near Barra Shopping in Barra da Tijuca. The full run takes at least 60 minutes, often double that. Tickets are R$16 (Dec 2016). 2918 Aeroporto Internacional do RJ/Alvorada (Via Linha Amarela) runs to the Alvorada bus terminal, via Jacarapaguá (the best spot for taxis) from Galeão airport along the Linha Amarela in as little as 35 minutes, traffic allowing. R$12 (Jan 2012). For a slightly cheaper option, go ahead as follows. From the airport, take BRT (Bus Rapid Transport System) (R$3.60, RioCard (R$3) needed, but can be used on Metro as well) to Vicente de Carvalho and transfer to the metro. The BRT does not go into the center, but north around Rio towards Alvorada Bus Terminal and Terminal Jardim Oceãnico. From Alvorada they connect to other BRT to Santa Cruz and Campo Grande east. If you heading to the airport, you need to take BRT bus #30 semi direto to Galeão, from Vicente de Carvalho. The bus goes every 30 min or so, from the middle doors of the 100 m long bus stop. Allow 1.5 hr for the trip between center and airport, especially if you do it the first time. Connect to Vicente de Carvalho using metro line 2 (R$4.30). Between metro and BRT at Vicente de Carvalho, walk the white footpath. At the airport, you get off at Terminal 2, when all people get off. There are two types of taxis. As you leave Customs you will see booths of different companies offering their services. These are considerably more expensive (ex: Galeão - Copacabana R$70; Galeão - Ipanema R$99) than the standard yellow taxis that are to be found outside the terminal building but the quality of the cars is generally better. These taxis can often charge double the price of those ordinary taxis from the rank around 100 metres from the arrivals exit and should cost you about R$40 (July 2009) on the meter to reach Ipanema or Copacabana or R$50 to Jardin Botanico. The price can go up by R$10 or more if you get stuck in a traffic jam. It is possible to reserve airport transfers. From Europe, LATAM Airlines offers direct flights from Paris (daily), London and Frankfurt (both three times a week). Alitalia flies five times a week from Rome, Air France flies twice a day from Paris, British Airways three times a week from London, TAP twice a day from Lisbon and on Fridays and Sundays to Porto, Lufthansa four days a week from Frankfurt, KLM four days a week from Amsterdam and Iberia daily from Madrid. From Africa, Taag connects Rio to Luanda four times a week, and from Asia, Emirates has a daily non-stop flight to Dubai, where is possible to continue to many Asian destinations (also, from Rio this flight continues to Buenos Aires). From North America, there are non-stop flights to Rio de Janeiro from Charlotte, New York City and Miami with either American Airlines or LATAM Airlines, Washington, D.C. and Houston with United Airlines, Dallas with American Airlines, Atlanta with Delta Air Lines, and Toronto with Air Canada. Travellers from elsewhere in the region have to make a stop in the aforementioned U.S. cities or in São Paulo to get to Rio. Gol, LATAM, Emirates, Aerolíneas Argentinas and other carriers connect Rio de Janeiro to Argentina (Buenos Aires and Cordoba), Venezuela (Caracas), Paraguay (Asuncion), Uruguay (Montevideo) and Chile (Santiago). Avianca and Copa Airlines connect Rio with Bogotá, Lima and Panama City, respectively, offering onward connections to Central America or other South American cities. LATAM and Aerolineas Argentinas offer connections from their respective hubs to Australia and New Zealand. 3 Central Train Station (Estação Central do Brasil, former: Estação do Campo, Estação da Corte, Dom Pedro II), Praça Procópio Ferreira - Centro (You can get there either by bus or subway (subway is better; get off on Central station, hub for lines 1 and 2). Rio's glorious main station became famous due to a movie with the same name. It's worth a visit just to see it. Serves mostly local commuter lines (SuperVia), so it's unlikely that you'll arrive through here. Five of eight Rio's suburban train lines depart from here. SuperVia Deodoro branch (23 km, 40 min); SuperVia Santa Cruz branch (Platform 6, 55 km, 75 min); SuperVia Japeri branch (Platform 8, 62 km, 83 min); SuperVia Belford Roxo branch (Platform #10, 31 km, less than one hour); SuperVia Saracuruna branch (Platform #12) toward Saracuruna (62 km, one hour); Campo Grande (Platform #2) line and Gramacho line (Platform #13). More details can be found in the Get around section of Zona Norte. The long-distance bus depot, 4 Rodoviária Novo Rio (in the North Zone's Santo Cristo neighborhood, coach buses can get you to the South Zone in about 15 minutes; local buses take a bit longer. Frescão air-conditioned coaches can be caught just outside the bus station. The coaches connect the station to the city centre and main hotel areas of Copacabana and Ipanema.). Bus companies include Itapemirim, Penha, Cometa, 1001, and Expresso Brasileiro. 5 Rodoviário de Campo Grande Bus station (Terminal Rodoviário de Campo Grande), Rua Aurélio de Figueiredo, Campo Grande, Zone Norte (BRT TransOeste terminated here.). Buses to/from Duque de Caxias, Nova Iguaçu, Itaguaí, Mangaratiba, Niterói and São Gonçalo cities. The city uses a prepaid transport SmartCard, the RioCard Bilhete Único Carioca, which costs R$3.00 (refundable) and gives access to nearly all available public transportation (mostly excluding touristic rides), also offering discounts if the user takes more than one transportation within a 2-hr time period and stays within the Rio de Janeiro municipality. Cards can be returned with getting the money on it back. This can be a good way to get cash off credit cards that have a minimum cash withdrawal of like €50, but in case you only need another R$40 before leaving the country. Unfortunately, the RioCard cannot be returned at the airport. It is very convenient to get a Bilhete Único if you plan to use public transport on a regular basis during your stay in Rio, as it saves you the hassle of constantly figuring out which type of integration ticket to buy. If you stick to subway, heavy rail, bus rapid transit and local buses (not including executive buses), a public transport trip using the Bilhete Único shall cost between US$1-2. The VLT ("Veículo Leve sobre Trilhos", Portuguese for "light rail vehicle") connects Rodoviária Novo Rio, Santos Dumont Airport, Praça XV ferry station, Central do Brasil train station, and a couple of subway stations. Can only be paid with a Bilhete Único card (R$ 3,80; each person must have a separate card), which can be bought in any stop but not within the vehicle. The ticket must be validated immediately after entering the vehicle, otherwise a R$ 170 fine will be levied. Buses are still the cheapest and most convenient way to get around the South Zone (Zona Sul) of the city due to the high number and frequency of lines running through the area. For the adventurous or budget traveler, it is worth asking your hotel or hostel employees how to navigate the system or which routes to take to arrive at specific locations. However, you should be mindful of questionable characters and your belongings. By night buses are more scarce, and most lines will usually not be running by the time the bars and clubs are full. Buses start at R$3.80 (Feb 2017); buses with air conditioning charge higher fares. The fare is paid in cash to a controller or the driver inside the bus, by passing through a roulette. There are no tickets, and try to have change/small bills. Some residents and students have a digital pass card. Keep an eye out for pickpockets when the bus is crowded, and don't be surprised if your driver goes a little faster and brakes a little more suddenly than you'd like. Except for minibuses, buses now have two doors: passengers get in through the front door and get off through the back (it was otherwise until 2001-2002). TransOlímpico: inaugurated during the 2016 Olympic games, it connects the Deodoro neighbourhood in Zona Norte to Barra da Tijuca, passing through several Olympic facilities. Basically useful to visitors to the Olympic events. The Metrô Rio subway system is very useful for travel from Jardim Oceânico (in Barra da Tijuca) to Downtown and beyond, passing through the Zona Sul beaches including Leblon, Ipanema and Copacabana (the extension to Leblon and Barra da Tijuca shall be inaugurated before the 2016 Olympic games). It closes after midnight (24 hours during Carnaval). The air-conditioned subway is safe, clean, comfortable, and quick, and has much better signage, etc., than most transport in Rio, making the lives of foreign tourists easier. There are two main lines: Line 1 has service to Ipanema (General Osorio), the Saara district, and much of Downtown, as well as Tijuca. Line 2 stops at the zoo, Maracanã stadium, and Rio State University. The two lines are integrated between Central and Botafogo, so check the train's destination if you board within the integrated section for a destination in the Zona Norte. A one-way subway-only "unitario" ticket is R$4.30 (Jul 2018). The ticket window will give you a card that you insert in the turnstile; do not pull it out unless you've purchased a multi-trip or transfer pass. Rechargeable IC cards (minimum charge R$5, no deposit required) are also available and definitely worth getting if you'll be in town for a few days. The Metrô company operates bus lines from some stations to nearby neighborhoods which are not served by the subway system. This is particularly helpful for places uphill such as Gávea, Laranjeiras, Grajaú and Usina. Since the city grew around the Tijuca Range mountains, these neighborhoods will never be served by the subway, but you now can take the integração (connection) minibuses. The company calls it Metrônibus and Metrô na Superfície (literally, Subway on Ground), but actually they are ordinary buses in special routes for subway commuters. You can buy tickets for these - just ask for expresso (pronounced "eysh-PREH-sso", not "express-o") when buying a ticket, then keep it after crossing the roulette (prices range from R$ 2.80 to 4.40, depending on the transfer you want, as of Sep 2010). When you leave the subway, give the ticket to the bus driver (who shall be waiting in the bus stop just outside of the station). If you buy an ordinary ticket, you won't be able to get this bus for free - then it will cost a regular fee. The last car of each train is marked for women-only with a pink window sticker, in order to avoid potential harassment in crowded trains. Some men, however, are not yet used to this separation, and many women, who are accustomed to hassle-free everyday travel in Rio's subway, also think the measure is unnecessary. Anyway, if you're a man, avoid getting into trouble with local security staff and stay off the pink-marked cars. The women-only policy for the wagon is valid only in the rush hour. Eight lines operating. Five of them from Central station (see above). They can be useful exploring the northern and western suburbs and bairros (quarters). After getting into the taxi, check to see if the taximeter has been started, it charges R$5.50 (July 2018) for the minimum ride, called bandeirada), and R$2.50 per kilometer. If not, ask the taxi driver to do so. Some taxi drivers may wish to negotiate a fixed price in lieu of using the taximeter stating that they want to help you out and give you a cheaper fare. This is common for taxi drivers queued at tourist stops such as Pão de Açúcar and may be a confidence trick. Keep in mind that the taximeter may give you a better price. When in doubt, use the taximeter. You are the customer and you are in control. If the taxi driver will not comply, leave the taxi and find another. Rio has an interesting programme of traffic management. Between 7AM and 10AM on weekday mornings the traffic flow of one carriageway on the beachfront roads of Ipanema and Copacabana is reversed, i.e. all traffic on those roads flows in the same direction, towards the city. On Sundays the carriageway closest to the beach is closed to allow pedestrians, cyclists, skateboarders, skaters and others to exercise. There are Itaú rental bicycle available in Rio: https://bikeitau.com.br (bookable by app). Corcovado, the 710 m (2,330 ft) granite peak located in the Tijuca Forest in central Rio is known worldwide for the Cristo Redentor (Christ the Redeemer) statue. The funicular train up costs R$62 (low season) or R$75 (high season) for a round trip up to Cristo Redentor, and it is definitely worth the view. The queue for the train, in Cosme Velho, can get rather long; you purchase a ticket for a particular departure time (that day only). The box office at the station does not sell same-day tickets. The trains run every 30 minutes. Try going when the morning coach parties have already passed through, i.e. when most tourists are having their lunch. Don't take the train too late in the day since late afternoon trains may be cancelled if delays throughout the day build up. This is common over holiday weekends. Take a taxi to Cosme Velho, or take the Metro-Onibus Expresso combination (see above) from the Largo do Machado station. If you opt for a taxi to go up instead of the funicular, it's R$20 round-trip to enter the park, then another R$18 or so for the shuttle up to the monument. After dark, be aware that the steep descent down Corcovado in a shuttle can be dangerous since some less-professional park drivers choose to speed down the mountain to create a roller coaster type effect and even turn the headlights off temporarily to thrill the passengers. If this occurs, passengers should tell the driver to stop by shouting "Pare!" (PAH-ree). Report any such conduct to a police officer at the base of the park before you descend to the base of the mountain by taxi. There's also a hiking trail that begins at Parque Lage and gets there (see Hiking and Trekking on the 'Do' section below). Pão de Açúcar, the Sugarloaf Mountain (one taller, the other shorter), Brazil's top landmark, with a two-stage aerial tramway to the top; a definite must see. There is also an unsigned trail leading to the second station, however tickets to the top are not available anymore at this point. Ask locals for directions. The buses number 511, 512, 591 and 592 and the subway buses from Botafogo bring you to the base station. Do not make the mistake of thinking you have seen enough once you have seen the view from Cristo Redentor. Try Sugarloaf at sunset for a truly mind-blowing experience. Lagoa Rodrigo de Freitas is a large lagoon in the middle of South Zone, with great views to Corcovado and Ipanema and Leblon beaches; you can jog or cycle all the way round; there are skating areas and you can hire little pedal-operated boats. Maracanã the largest football stadium in South America and once the largest on Earth. It is in a state of disrepair following the Summer 2016 Olympics, and daily tours have been suspended. There is also a Soccer Museum inside it. Streetcar of Santa Teresa, Brazil's only remaining metropolitan tramway. Jardim Botânico, the Botanical Garden, planted in the 1800s. It is both a park and a scientific laboratory contains a huge collection of plants from all over the world, not only tropical ones. Parque Lage a small park containing some interesting plants and wildlife as well as strange concrete structures that will entertain the kids. The park is the beginning of a hiking trail Corcovado, through sub-tropical rain forest. Parque do Flamengo, also known as Aterro do Flamengo is along the bay between Flamengo and Glória. 1.2 million square metres with broad walkways, Flamengo Beach, various monuments, and over 10,000 trees. 1 Paço Imperial. (1743) - Old Imperial Palace (though impressively modest), colonial architecture (in downtown, next to Praça XV, Fifteen Square). 2 Casa França Brasil. (1820) - French cultural centre, with gallery and video hall (in downtown, next to CCBB). 3 Centro Cultural Banco do Brasil (CCBB). (1906) - A cultural centre with gallery, movie theater, video room, library and stages; usually hosts the main exhibitions in town (in downtown). An interesting building with old-fashioned elevators/lifts. Downtown you can find a number of museums. Museu Histórico Nacional is covers Brazilian history stretching from colonial to imperial times with a big collection of paintings and artifacts. The Museu Nacional de Belas Artes, Museum of Fine Arts in Cinelândia square includes large paintings from Academicist and Neoclassical Brazilian artists, as well as many copies of European sculptures. The second most important contemporary art museum in Brazil, after MASP is the *MAM - Museu de Arte Moderna. The Museu da Imagem e do Som (Image and Sound Museum) is the place to go for researchers about Brazilian film, radio, and broadcasting industry. Also downtown check out the Navy Museum or the Museu Chácara do Céu an important collection of South American modern art in Santa Tereza). In the south zone, hosted in the former presidential Catete palace is the Museu da República, this museum hosts permanent exhibitions about recent Brazilian history (from 1889 on); one of main features is the room where president Getúlio Vargas shot himself in 1954. Also in Catete, Oi Futuro hosts a fine gallery with temporary exhibitions of digital art or art with interactive medias. Museu Carmem Miranda]]about this Brazilian actress and singer (the lady with pineapples-and-bananas hat), the national icon in the 1940s and 50s is in Flamengo. Museu do Índio is a small museum in Botafogo with a collection of Brazilian Indian (povos indígenas) photographs, paintings, artifacts and other craft. Very popular with local schoolchildren, but has much for adults as well. 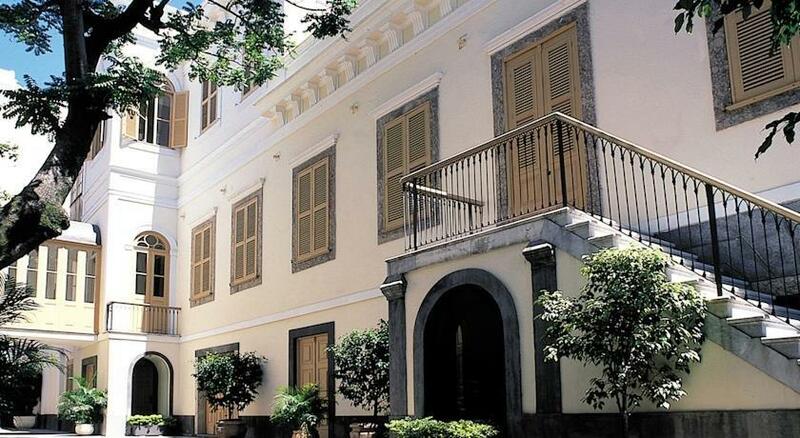 Museu Villa-Lobos is a modest collection about Brazil's most important composer. In the North Zone, Museu Museu de Astronomia e Ciências Afins the Astronomy Museum in São Cristóvão has an observatory. Museu do Trem is a modest collection of 19th century engines, train cars and streetcars in Engenho de Dentro. In the West Zone, Museu Casa do Pontal is an important collection of popular arts and crafts can be found in Recreio dos Bandeirantes. Museu Aeroespacial an Aerospace Museum loccated in Campo dos Afonsos. A change is afoot that may make this genuine experience a thing of the past (or more convenient, depending on your viewpoint) for all but the most savvy tourists. The local government built a complex of buildings (Cidade do Samba) where many of the samba schools are moving their practice halls and float-construction facilities from the gritty warehouses typically located in or near their home favelas. One can expect many more tourists, and shows made-up for the tourists as the tourist bureau milks this facility for all it's worth year-round. 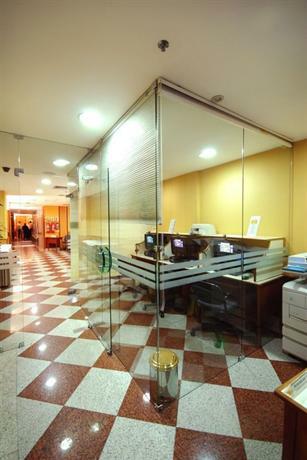 Mangueira, Rua Visconde de Niterói, 1072, Mangueira, ☎ +55 21 3872-6786, fax: +55 21 2567-4637, e-mail: epm@mangueira.com.br. Rehearsals every Saturday, 10PM. Salgueiro, Rua Silva Teles, 104, Andaraí, ☎ +55 21 2238-9258, e-mail: secretaria@salgueiro.com.br. Rehearsals every Wednesday, 8PM. Rio was the cradle of three of Brazil's most important musical genres: samba, choro, and bossa nova. There has been a boom of traditional samba and choro venues. A lot of them are in the downtown district of Lapa. There are good and cheap nightlife options, where you will see some of the best musicians of the country. Any of the city newspapers provide pointers to the best shows. If you're not such an anthropological type of tourist, you can check out the same papers for tips on other kinds of music. Being a big city, Rio has big and small clubs that play almost every kind of music. The major mainstream clubs mostly play whatever's on the Radio - which is usually whatever's on the USA radios and MTV - but the underground scene has a lot to offer on Rock, EDM, Rap and such. The best way to find out about those are the flyers handed or left at hostels, cinema and theater lobbies, nightclub lines, etc. Sky Center, ☎ +55 21 2437-4592, +55 21 7817-3526. 1 Universidade do Estado do Rio de Janeiro. 2 Universidade Federal do Rio de Janeiro. (UFRJ) - Offers courses at various levels in Portuguese for Foreigners. R$428 for one semester, or R$214 if you're a regular student at UFRJ. 4 Pontifícia Universidade Católica do Rio de Janeiro. (PUC-Rio) - Its courses Portuguese for Foreigners are popular, but a bit pricey at R$1632 per semester for the beginner's levels. In Rio de Janeiro you can probably find something to fit any craving. A good approach to local food is "comida a kilo" - buffet style restaurants where you pay by the weight of the food on your plate. An excellent place to go with your friend or even with your partner is the Fellini restaurant. 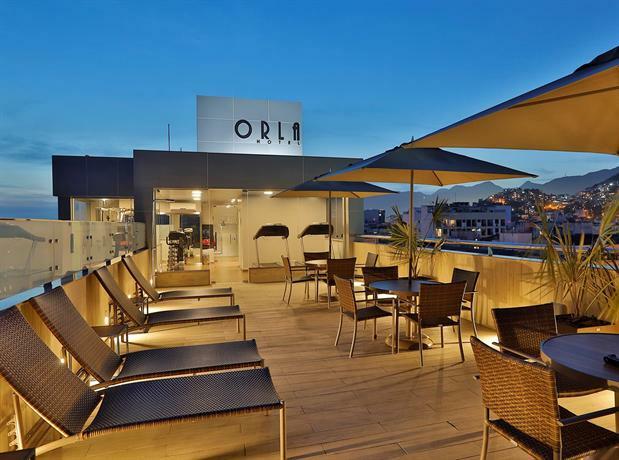 Located in Leblon, the place has a "pay for what you eat" buffet, with really good and beautiful food. Great for all tastes, it has even Asian food on the menu- approximately R$5 per 100g. More information available online . Another one is Ming Ye, Rue do Lavradio 106, near Lapa. Ming Ye offers a wide range of Chinese stir-fry and delicious sushi, as well as Brazilian dishes for cheaper prices (around R$3 per 100g). Don't miss the most famous Brazilian dish, feijoada (fay-zho-AH-da), a black bean stew filled with big chunks of meat, like sausage, pork and beef. Along with the "feijoada", you also get some colorful side dishes that come with it, such as rice, cassava (roasted manioc), collard greens, fried pork rinds, and some orange slices, to sweeten things up a bit. This is bonafide, authentic carioca culinary excellence, almost worth the trip alone! Best while sipping down a "caipirinha". For the hungry, nothing beats a good rodízio (all-you-can-eat service). These are available in numerous types, although the most well-known are the churrascaria, all-you-can-eat grilled meats. Marius, in Leme has arguably the best churrascaria in town. Carretão has a good and cheap(er) rodizio. At various restaurants around town, you can also find rodízio style dining featuring seafood, pizza, or various appetizer-style snacks. The defining element of rodízio is that unlike an all-you-can-eat buffet, the servers continuously bring skewers of various meats. Because its huge coast, many Brazilian specialties are in the seafood area. They are very rich in shrimps, lobster, calamaris, shellfish, clams, mollusks and many other tasty fishes. So, once in this land, don't miss the opportunity to order those lovely dishes. An option of restaurant very well known is Azul Marinho which is located below the building of Arpoador Inn, in Arpoador, very close to Ipanema. 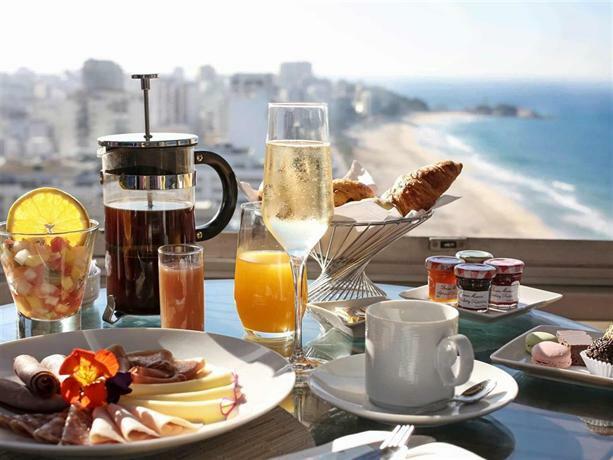 However, expect to pay at least R$100 per person, and set menus go about R$120 per person, excluding drinks. Rio is also famous for its pastries and street food, heritage from Portuguese and old European culture. In most cafeterias (lanchonete; lun-sho-NETCH) you can have a pastel (pahs-TELL) or salgado (saw-GAH-do; local pastry) for less than R$2. Typical pastries are coxinha (ko-SHEEN-ya; chicken nugget shaped like a chicken leg), and unique Rio's joelho (zho-EH-lyo; rolled dough filled with ham and cheese). Also try pão de queijo (pawn-deh-KAY-zho; cheese baked dough), typical from Minas Gerais but very common in Rio as well, and tapioca (typical from Bahia), a kind of crepe made out of manioca flour. For drinking, ask for guaraná (gwa-ra-NAH; soda made from the seed of an Amazon fruit, also available as a strong drink), mate (MAHTCH; sweet ice tea; not like Rio Grande do Sul or Argentina's hot and sour mate), água de coco (ah-gwa-djee-KOH-ku; natural coconut water) or caldo de cana (caw-do-djee-KAH-na; sugarcane juice). There is also a common fruit called açaí (ah-sah-EEH), with a dark-purple pulp out of which are made juices, and ice-creams. Typical cariocas eat it like cream in cups or glasses, mixed with granola, oats or other flakes. The best place for such drinks are one of a number of Rio's open juice bars. Very often, these are located on street corners and have long, curved bars offering you juices from pretty much every fruit you can imagine. The best option is a small chain of juice bars called "Big Bi's". The juices are astounding value alongside their good selection of salgados and sandwiches. Their açaí is one of the best in terms of value and taste and the staff are excellent. On top of all this, if you leave a tip, you get a big "Obrigado" from all the staff. For the best Big Bi's experience, try the Tangerina ao Limão juice along with the famous Bauru sandwich for a total of a mere R$13. Finish it all off with an açaí to go. Perfect. Big Bi's has a few branches dotted around Copacabana and Ipanema, one of which is on the corner of Rua Santa Clara and Rua Barata Ribeiro in Copacabana. If you then cross the road of Rua Barata Ribeiro, you will land at an exquisite ice cream parlour. Botequim (pronounced 'boo-chi-KEEN') also well known as boteco - These quite unpretentious bars with simple appetizers and lots of ice-cold chope (draft beer) are everywhere and are almost inseparable from the carioca lifestyle. Try Bracarense (85, José Linhares street, Leblon), one of the most traditional. 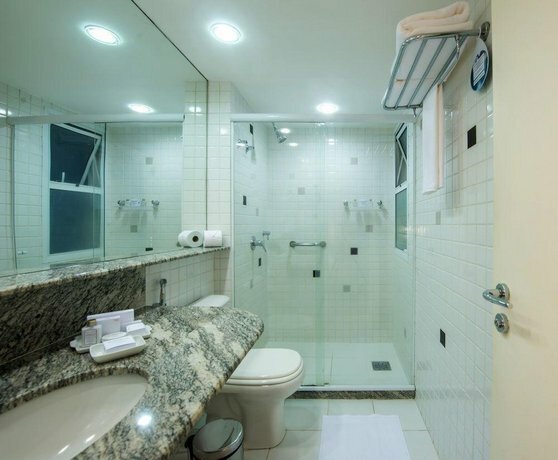 Accommodation in Rio is probably Brazil's most expensive. 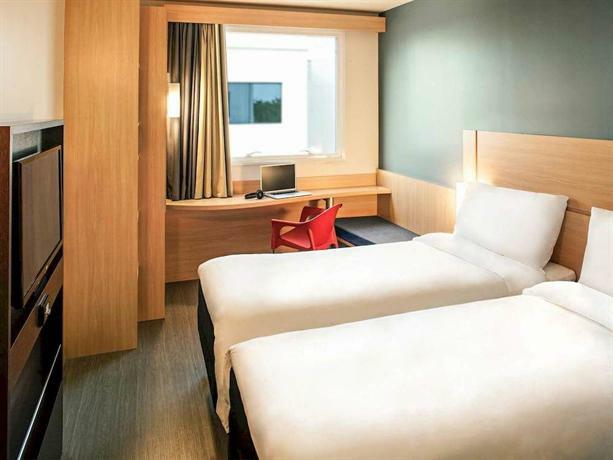 There is a relative shortage of hotel rooms on the cheaper range and booking in advance is recommended. Moreover, prices for most accommodation can more than triple during New Year's and Carnaval. Those are very busy periods and booking well in advance is recommended. Most hotels in tourist areas will only sell 4-day packages and charge in advance - even if you want to stay only for a couple of days during those events. Other than those, the busiest month is January - summer holidays in Brazil. 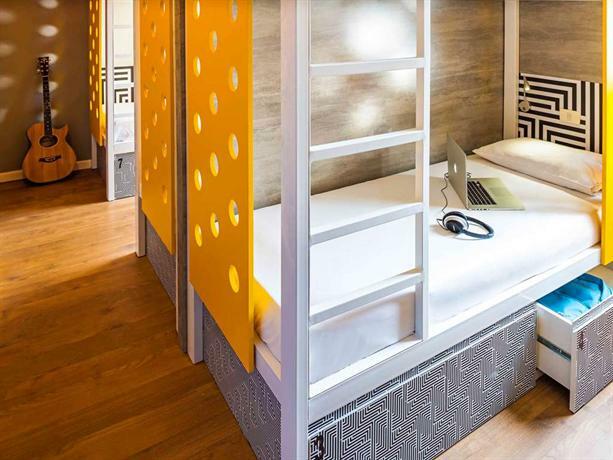 If hostel life is more your style, they are easy to find in Rio. The more expensive ones boast locations that are short walking distance to either Ipanema or Copacabana beach. 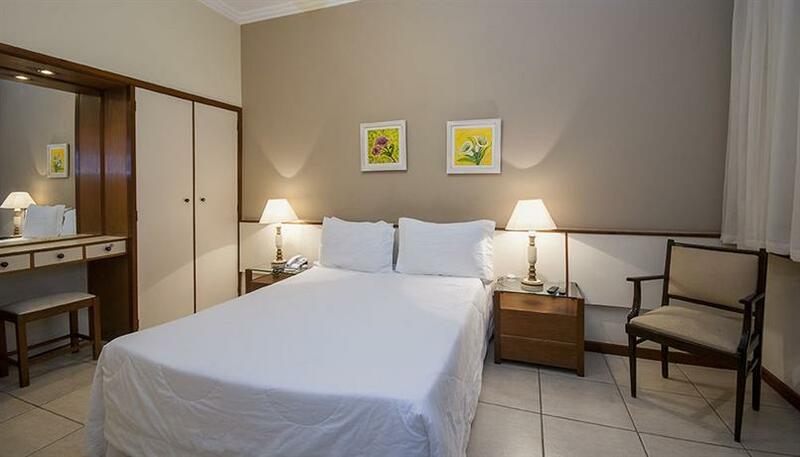 However if you prefer to stay in Lapa, Glória, Catete, and Botafogo, there are many other choices available. 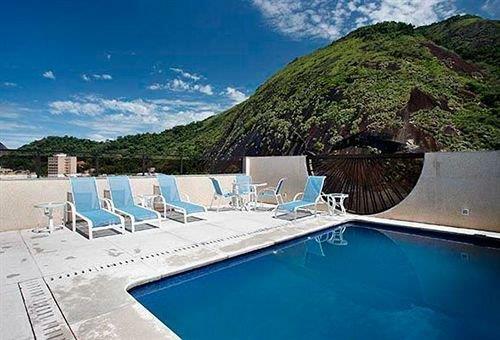 Hostelling has become increasingly popular in Brazil, and many of them are located at walking distance from hot spots. Beware, however, not to be taken to any fraudulent scheme - you might end up being robbed. Look for accredited places with Youth Hostelling International and similar franchises. To experience Rio from another point of view, there's also the opportunity to stay in various hostels in one of the favelas. Due to presence of many police units (called Unidade de Polícia Pacificadora, UPP), it is reasonably safe to stay in some favelas. Ask your hosts about the actual situation, though. See for example Zona Norte for a stay in the Complexo do Alemão. While the following information may panic you and also make you question whether to go or not to Rio, most visitors to the city have a great time with no incidents. There are around 700 favelas in the city and some of them can potentially be unsafe in Rio: and there is always one near you (by a couple of miles or just a few yards). These are easily recognized by their expansive brick walls, and are often on a hillside. The slums grew from being impoverished neighborhoods. They were known for being ruled by drug lords prior to a concerted effort by the Unidade de Polícia Pacificadora. For the more adventurous, some favelas are amazingly huge, and a new experience for some—there are some travel agencies who take people on tours there. The tour operators have "safe-conduct pacts" with the local drug dealers. If you try to get a tour without using one of those agencies think carefully about whether your guide is reputable. Despite the pacifying efforts, most favelas do not have a permanent police presence, so there is often no recourse for a traveller who is ambushed by a drug baron's guards. Carjacking can be a threat too, especially if you are outside the tourist areas and after dark. It is perfectly acceptable (even if not exactly legal) not to stop at the traffic lights if there is nobody else on the street and you feel it's okay to go (if there are no other cars). You will see even police doing this. Some major motorways such as Linha Amarela (Yellow Line: connects the west zone(Barra da Tijuca) to the north zone - may be your way to Norte Shopping for example) and Linha Vermelha (Red Line - the main connection from the International Airport) are strongly avoided late at night. Both motorways are surrounded by favelas, so carjacking is usual and shoot-outs may occur between rival drug lords or between drug lords and the police. If you rent a car, be aware of all these issues. As a tourist, it may be better not to rent one anyway, as if you get lost and go to a bad neighbourhood (and again, there will always be one near you), you will most likely be in trouble. Argentina, Praia de Botafogo 228, Sobreloja 201, Botafogo, ☎ +55 21 2553-1646, fax: +55 21 2552-4191, e-mail: crioj@mrecic.gov.ar. Australia, Avenida Presidente Wilson, 231, Centro, 23rd Floor, ☎ +55 21 3824-4624, fax: +55 21 2262-4247. China, Rua Muniz Barreto 715, Botafogo, ☎ +55 21 3237-6614, fax: +55 21 2551-5736, e-mail: chinaconsul_rj_br@mfa.gov.cn. Egypt, Rua Muniz Barreto 741, Botafogo, ☎ +55 21 2554-6318, fax: +55 21 2552-8997, e-mail: consuladodoegito@yahoo.com. France, Avenida Presidente Antônio Carlos, 58, Centro, ☎ +55 21 3974-6699, fax: +55 21 3974-6864, e-mail: consulatrio@rionet.com.br. Germany, Avenida Presidente Antônio Carlos, 58, Centro, ☎ +55 21 3380-3700, fax: +55 21 3380-3709. Greece, Praia do Flamengo, 344, Flamengo, ☎ +55 21 2552-6849, fax: +55 21 2552-6799, e-mail: contato@consuladogrecia-rj.org. Italy, Avenida Presidente Antonio Carlos, 40 Castelo, ☎ +55 21 3534-1315, fax: +55 21 2262-6348, e-mail: con.riodejaneiro@cert.esteri.it. Japan, Praia do Flamengo, 200-10 andar, ☎ +55 21 3461-9595, fax: +55 21 3235-2241. Russia, Rua Prof. Azevedo Marques, 50, Leblon, ☎ +55 21 2274-0097, fax: +55 21 2294-4945, e-mail: consulado.russia@radnet.com.br. 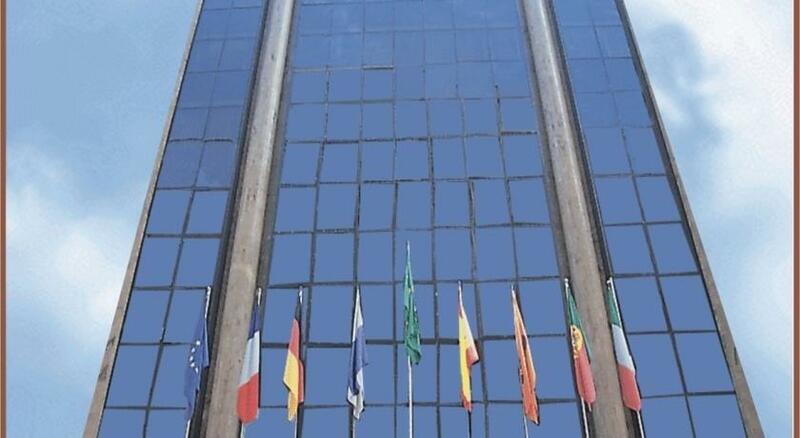 Spain, Rua Lauro Muller, 116 Salas, ☎ +55 21 2543-3200, fax: +55 21 2543-3096, e-mail: cog.riodejaneiro@maec.es. United Kingdom of Great Britain & Northern Ireland, Praia do Flamengo 284/2 andar, ☎ +55 21 2555-9600, fax: +55 21 2555-9670, e-mail: bcg.rj@fco.gov.uk. United States of America, Avenida Presidente Wilson, 147, Centro, ☎ +55 21 3823-2000, e-mail: acsrio@state.gov. Angra dos Reis and Ilha Grande. Angra is surrounded by 365 islands, the largest being Ilha Grande, a pretty island and former penal colony with beautiful beaches and good hiking. Angra is 2–3 hours from Rio by car and it is a one-hour boat ride from there to Ilha Grande. The options to go to Ilha Grande are: by bus (Costa Verde) and then a ferry (CCR Barcas) or transfer door to island. Niteroi - The ferry between Rio and Niteroi, a city across the bay, is a pleasant and cheap trip (as of January 2013, R$ 4.50). There are a couple of kinds of boats, ranging from very cheap and slow (called barca) to fairly cheap and fast (called catamarã, catamaran). Niteroi does not have many tourist attractions, but it does have a wonderful unique view of Rio and an intriguing contemporary art museum , which looks like a flying saucer jutting out over the sea (designed by famous architect Oscar Niemeyer). Also, it has one of the state's most beautiful beaches, Itacoatiara, which can be reached by the bus numbered 38. Paquetá - Though not exactly outside of Rio, because it is an island and can only be reached by a 70 minutes ferry ride, this district of Rio makes an excellent (and inexpensive) day trip. The island is an car-free zone, so travel is limited to bicycles and electric golf carts. There's not a lot to do on this island, but the ferry ride is worth it. Petrópolis - In the mountains outside Rio. A good place to cool down when Rio becomes too hot. It's known as an "Imperial City", the place chosen by Brazil's Royalty to spend the summer. There's a nice imperial museum. The city also hosts one of Brazil's first breweries which can be visited. Praia do Abricó The best public naturist beach around Rio, located in Grumari, right after Prainha. Facilities and telephone service are quite limited, so plan ahead. Serra dos Órgãos National Park, Parque Nacional da Serra dos Órgãos - National park in the mountains west of Rio.